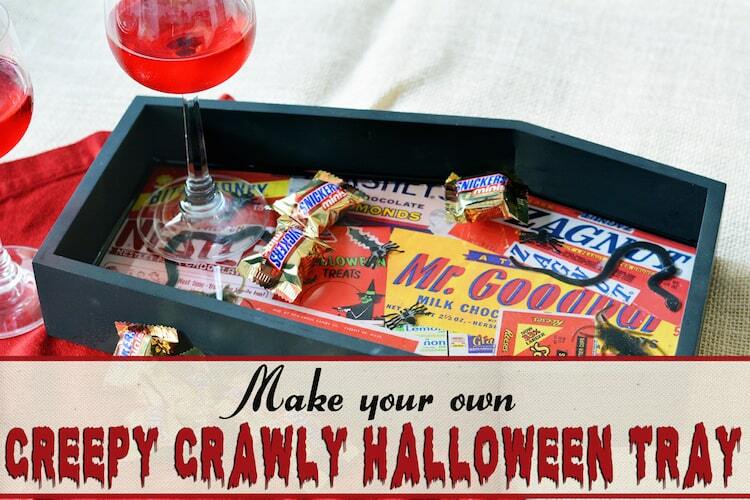 Turn a mini wood coffin into a Halloween tray covered with creepy crawlies! 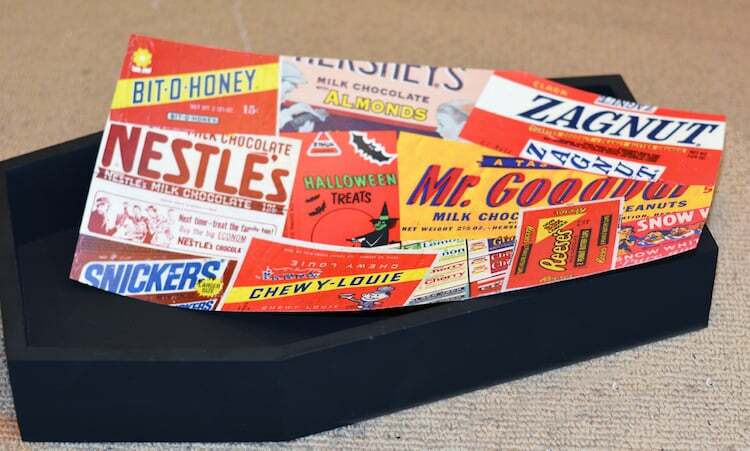 This unique Halloween coffin is perfect for surprising guests. Hi everyone. It's David from Cheltenham Road. 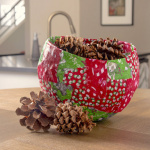 I'm usually kind of a last-minute sort of guy – starting my holiday projects a few days before the actual holiday. 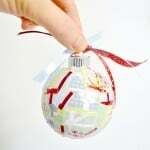 But this year, for my Etsy shop and blog I vowed to be ahead of the game! (wish me luck). So, sorry to jump into the future but, Halloween is on the way! 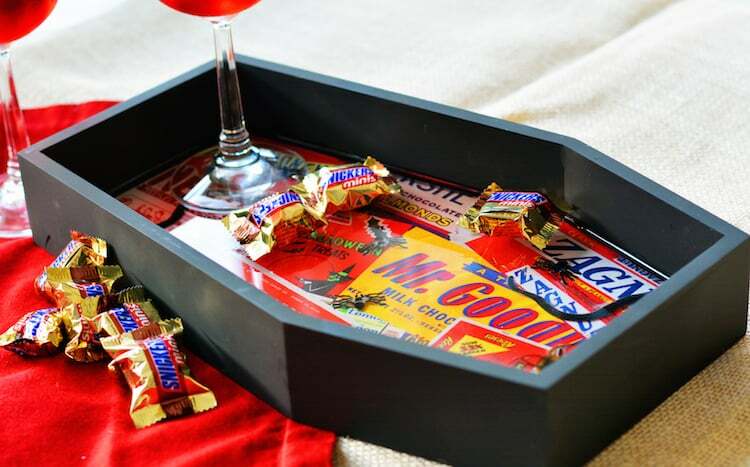 Michaels' is even more ahead of the curve than I am and I was kinda stunned to see Halloween decor last month but not so stunned that I didn't grab (using a coupon of course) a fun coffin-shaped tray they have this season. 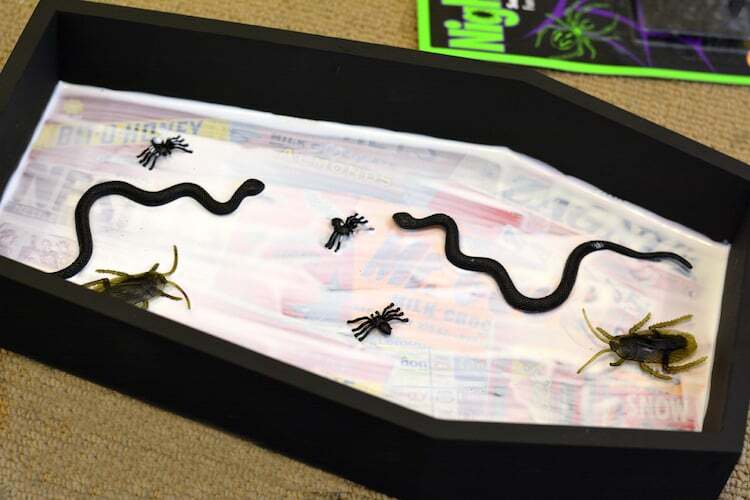 It was a bit of a whim purchase, but when I got it home I started ruminating on the possibilities and thought a creepy, crawly DIY Halloween tray might be fun. It turned out to be very easy but there is a fair amount of drying time needed on each step so plan accordingly. Scans of candy wrappers (more on that in a sec). so . . . internet to the rescue! 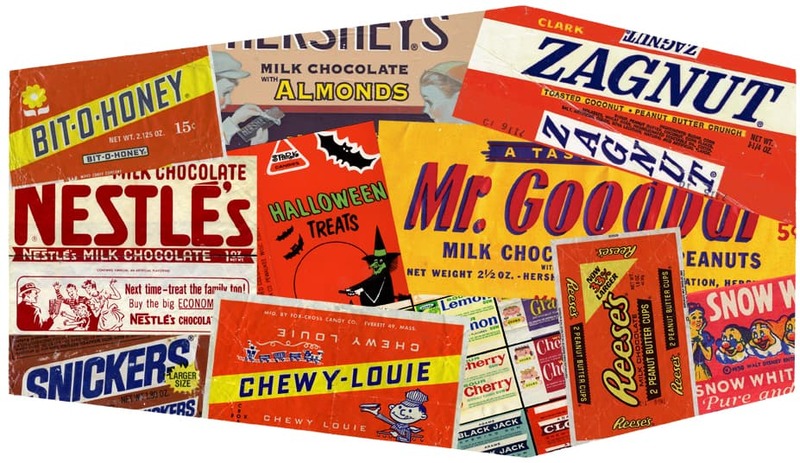 A quick Google search turned up a bunch of pics of candy wrappers, vintage and new, that I downloaded and resized putting them together into a collage. (I used Photoshop to create my design. I just scanned the tray itself and then populated the shape with my candy wrappers. However, I know not everyone has Photoshop or similar software, so the graphic is available above. 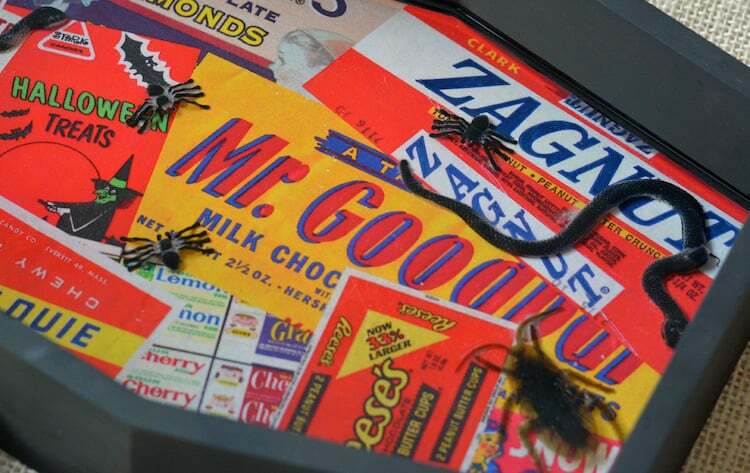 After printing out the collage I used Matte Mod Podge to attach it to the bottom of your Halloween coffin tray. The paper needs to be thoroughly sealed before you pour the Envirotex otherwise the chemicals will discolor it. 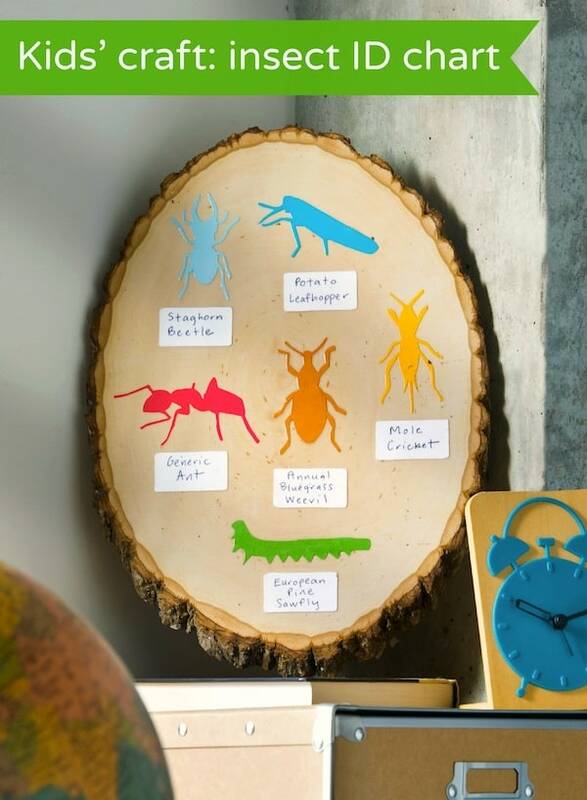 So, once my collage layer had dried, I laid down a fairly thick coat of Mod Podge for the seal and then used it to “glue” my bugs and snakes in place (that way they won't move around when I pour the Envirotex). 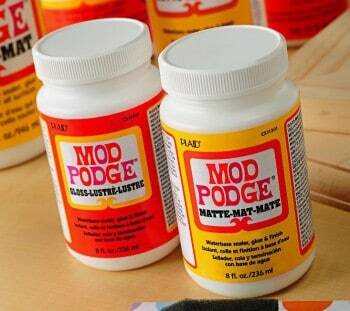 It takes overnight (and sometimes a bit longer depending on humidity) for a thick coat of Mod Podge like that to dry. Envirotex is a two part epoxy resin that dries like a sheet of glass. It's easy to work with but you must follow the directions on the box to the letter. I mixed up my Envirotex and poured it into the tray. Because my cockroaches were a little thick I did need to do a second pour after 24 hours. Once the Envirotex had dried I was good to go with my creepy Halloween coffin tray. 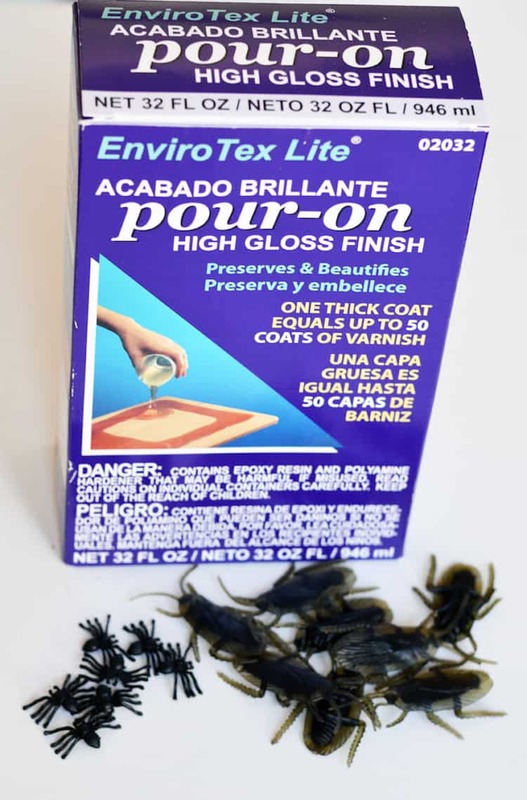 The Envirotex seal is just like glass and the bugs are well beneath it. Is it wrong that I'm looking forward to seeing people jump when they reach for candy and uncover a bug? 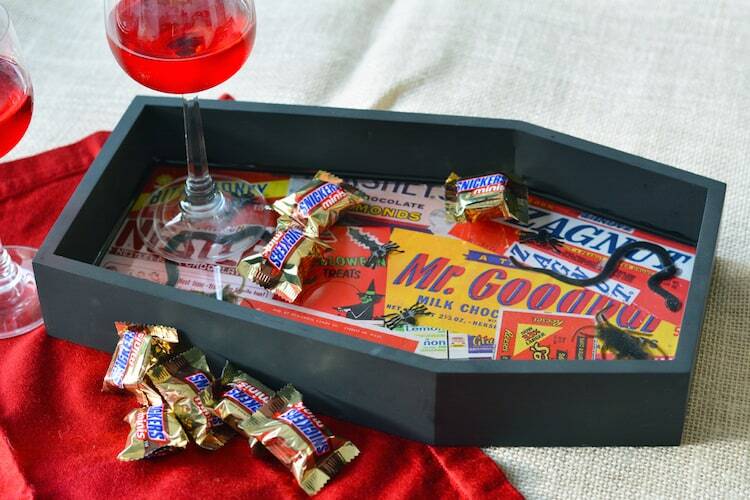 I hope this Halloween coffin tray inspires your holiday decorating imagination. Please do let me know if you have any questions. I've been in full-on Halloween mode for a bit so please do check out my latest tutorials over on my blog and all my Halloween Decorations on Etsy! 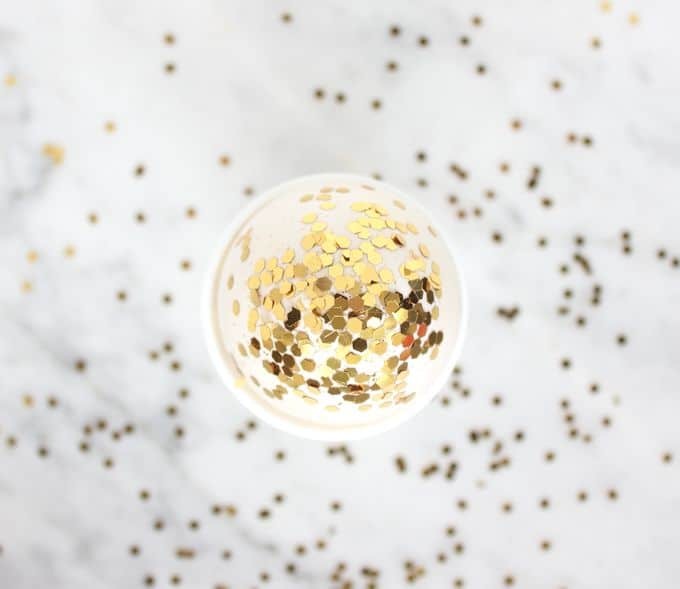 I love this idea; It is the perfect addition to any Halloween party! The creep crawlers are the perfect extra touch! I love it! My hubby is a Mortician and one year we put a wooden coffin on our front door so Trick or Treaters had to open the lid of coffin in order to ring the front door . 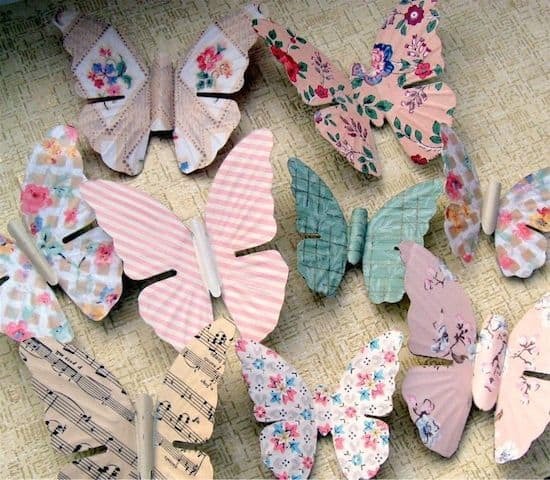 This is my kind of craft. David, this is so cool! Have to try this Pour On method!